Instead of focusing on food as only a source of energy, it's probably better to consider food as information for your body. If food is information, then this information can influence other systems in your body including neurotransmitters and even your hormones. The information (food) you put into your mouth can direct how much of specific hormones you can create and these hormones can impact other hormones and so on (1). For instance, if you consume high amounts of sugar, what happens to your body? It secretes the hormone insulin which directs sugar into the cells in your body. If this continues to happen it can lead to insulin resistance and weight gain. Other information (foods) can influence the inflammatory pathways in your body. If you consume these foods then you run the risk of increasing inflammation, disrupting gut microflora, and negatively impact your thyroid. So why change your diet? Because you can directly influence these systems in your body for better (or for worse!). My goal here today is to provide you with the right knowledge so that you can start to put the right information (food) into your body. As we jump into the specifics of foods that you should avoid it's important to understand that simply avoiding these foods may not reverse your condition 100%. It will certainly HELP your condition but it may not be enough to reverse it completely. But, on the flip side, consuming large amounts of unhealthy foods will almost certainly cause long-term issues to both your hormones and your well-being. So, in this case, the benefits of changing your diet far outweigh any potential downsides (which is simply taking the time to understand how to change your diet). When changing your diet you will want to focus on foods which are nutrient rich (meaning they provide your body with essential elements, nutrients, and vitamins) which help keep your cravings for unhealthy foods limited, which don’t cause metabolic problems (insulin resistance), and ones which make YOU feel good (gastrointestinal healthy, etc.) in the process. The information you are about to read is only generic advice based on what MOST people do or do not tolerate. While it may be very helpful for you to avoid these foods, there are certainly some people who can tolerate these foods to varying degrees! Most people (based on my experience) benefit from going dairy-free for a short period of time. A large number of people can re-introduce dairy afterward and do perfectly well on it at that point. While others simply cannot tolerate dairy even after an extended period of time (I fall into that category, unfortunately!). On several of the food groups below, I've put an asterisk (*) to indicate that this food group may be one with special conditions. I go into these food groups in detail in the advanced diet section which you can read more about later. Sugar (in high amounts) can absolutely lead to hormone conditions such as insulin resistance and weight gain (2). We also know that there is a bi-directional relationship between insulin resistance and thyroid disease. Beyond these hormone problems, sugar intake can lead to food cravings, depression, and other issues. Does this mean you need to remove sugar from your diet forever? No way! But it does mean that you should be extra strict in avoiding sugar if you haven't for a long time. After a relatively short strict avoidance period, you may be able to add back some sugar into your diet depending on factors such as your activity level, body weight, and metabolism. After a while (the length of time varies based on your body) you may be able to introduce some natural sources of sugar such as maple syrup and honey without issue. 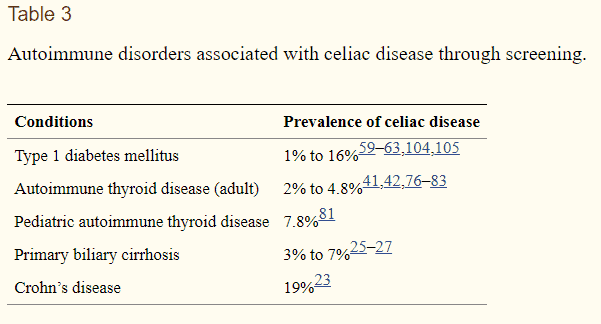 While gluten is definitely a problem for a majority of people with thyroid problems, I am finding more and more that some people can tolerate gluten after a withdrawal period of 30-60 days. Gluten is often mentioned as a 'no-no' if you have thyroid disease because Celiac disease is considered an autoimmune disease. This is a potential problem because we know that people with one autoimmune disease (such as Hashimoto's thyroiditis) tend to experience other autoimmune conditions at a very high rate. And this connection appears to be true for people with Hashimoto's thyroiditis who experience an increased risk of developing gluten intolerance by about 4x what is normal for the standard population (3). Many individuals in the United States are considered to be lactose intolerant (meaning they can't handle the milk sugar lactose) while another group of patients are intolerant of dairy but due to proteins such as casein. You can figure out which group you fall into by avoiding dairy all-together for a set amount of time. But, regardless of why you don't tolerate dairy, it's not a good idea to consume it if you experience symptoms such as abdominal pain, gas, bloating, etc. But another reason to potentially avoid it has to do with the fact that patients with thyroid disease (especially those with Hashimoto's) may experience an improvement in their TSH when they avoid it. A study in 2014 showed that patients with Hashimoto's who avoided dairy for 8 weeks experienced a reduction in their TSH (4). This was only true for those people with Hashimoto's who also had lactose intolerance, but the researchers also found that people with thyroid disease tend to experience lactose intolerance at a higher rate than the normal population. Consider removing dairy from your diet if you have thyroid disease and especially if you have Hashimoto's thyroiditis! The worse thing that can happen is that you experience no change in your symptoms while the best thing that could happen is that you feel a lot better. It shouldn't come as a surprise that alcohol can potentially cause problems to organs in your body (consider the case of alcoholic liver disease if you don't believe me!). It may surprise you to find out that alcohol also tends to cause problems directly with your thyroid gland. Alcohol has been shown to blunt your thyroid by inhibiting the release of pituitary and hypothalamic hormones (5) due to the fact that it is toxic to certain cells in your body. Alcohol can also promote obesity through its influence on insulin resistance and it can ultimately lead to liver damage which can further impair thyroid function and conversion. If you have thyroid disease then you should avoid alcohol 100%. Most people know that trans-fat is bad for your overall health but what you may not know is that trans-fat may also cause thyroid dysfunction. Some studies have linked high-fat diets to thyroid dysfunction (6) - just another reason to avoid this type of fat. It's pretty straightforward but there are a number of oils which fall into the category known as partially hydrogenated vegetable oils (PHVO's for short) and these fats have been known to cause inflammation in your body (7). Inflammation is a problem for your thyroid because it blocks the conversion of T4 into T3. This is one of the reasons that people recommend that you consume healthy fats (coconut oil, extra virgin olive oil, etc.) because these non-hydrogenated vegetable oils are not associated with inflammation. Soy is one of those foods which really fits in the middle ground of good and bad. Some studies have shown that soy can theoretically cause problems in your thyroid such as blocking iodine uptake and by potentially inhibiting thyroid medication absorption (8). The only problem is that these effects are not necessarily seen clinically in many people (9). So, on the basis that soy can theoretically cause thyroid dysfunction, it's probably best to avoid it. There's probably a big difference in the quality of the soy foods that you are consuming. If you find high-quality organic soy products (and you are an individual that can tolerate them) some mild use of soy is probably okay. But, if you are someone who tends to be very sensitive to foods or if your thyroid function is going hay-wire (with frequent fluctuations up and down) then you probably want to avoid soy all-together. Frozen foods and all-in-one meals all have one thing in common: plenty of preservatives. Preservatives help your food stay fresh for a long period of time which can be a good and bad thing. These preservatives are either man-made or naturally occurring but either way, they can potentially cause problems for your thyroid. What isn't well known is how each of these preservatives (especially the man-made variety) impact our health over the long term. And, because you just don't need to consume a large amount of them (you can simply make fresh foods!) I recommend that you avoid them. You can find a list of how various known chemicals interact with and cause thyroid dysfunction in this study (10). It turns out that legumes and beans really don't want humans to eat them. They have a combination of naturally occurring substances such as goitrogens and lectins (11) which can potentially cause problems for your thyroid. Proper preparation and handling of these foods can limit your exposure to these plant-based chemicals, but not everyone tolerates them the same (even after the correct preparation). Due to the fact that so many people simply don't tolerate them, and due to the fact that these chemicals can potentially cause problems to your gut health, it is probably best to avoid legumes and beans at least initially. Re-introducing them at a later date will work well for some individuals, but you should not use them if you notice abdominal pain/gas/bloating afterward. There are probably many of you out there that aren't going to like this one, but you should at least hear me out! It's not clear to me whether or not coffee is inherently good for you or bad for you because there are conflicting studies which show both sides to be true. But let's table that discussion for today and focus solely on your thyroid. Coffee is potentially a problem for thyroid patients because it has been shown to temporarily suppress the TSH (though this study was performed in rats). The suppression in TSH may not necessarily be a bad thing but in this case, it was because it was also associated with a decline in both T3 and T4 levels (triiodothyronine and thyroxine) about 6 hours after ingestion (12). This could probably be overlooked if it wasn't the only problem. Perhaps even the biggest problem with coffee is the fact that it is primarily used (and perhaps abused) as a stimulant or energy supplement. The continual use of coffee to increase your energy may come at a cost to your hypothalamic-pituitary-thyroid and hypothalamic-pituitary-adrenal axes. Constant stimulation of these axes may diminish your normal hormone response to stress and cause issues such as fatigue, insomnia, and depression. Coffee is another one of those food groups that is probably well-tolerated by some people with varying degrees in the middle. I'm not going to go into the specifics of which type of food you should be consuming because that list would be incredibly long. Instead, I thought it would be better to provide you with a list of structured diets which contain that same list of healthy foods. These diets also have the advantage in that they usually recommend that you avoid the list of negative foods we've already discussed. When it comes to your diet just remember that there is no one specific diet designed to meet all of the needs of your body and thyroid. Instead, several different types of diets fit this mold and they can strategically be used based on your existing medical conditions and health outcomes. Some diets are better for weight loss while others are better at promoting gut health. You may need a combination of both so you can mix and match diets to fit your needs. If this seems confusing to you then you may benefit from a consult with a functional health coach (or doctor) to help guide you! Paleo - The paleo diet is a great basic framework which most people are aware of. The benefits of using this diet are that there are plenty of free recipes available and a community to lean on for support. Some of the downsides of this diet include the fact that it can be restrictive, expensive, and some recipes require obscure ingredients. 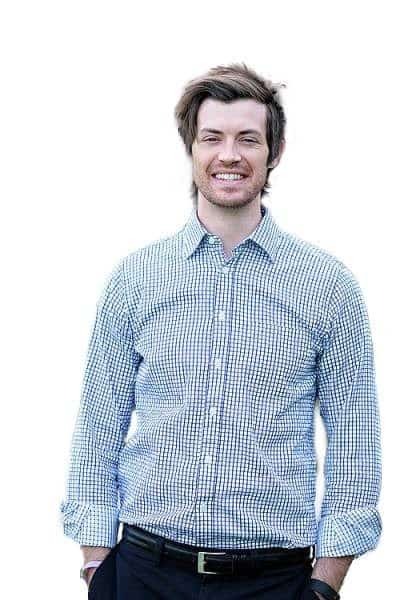 Whole 30 - The Whole 30 diet is a whole food based program which is a great starting point for many people. There are plenty of recipes available online and a structured program to follow (including meal plans, shopping lists, and so on). Pegan Diet - The Pegan diet is a combination of the vegan diet and the paleo diet. It's a diet which allows the inclusion of certain animal products and may be ideal for those which find either the paleo or vegan diet too restrictive. Autoimmune Paleo Diet (AIP) - The autoimmune paleo diet is a more strict form of the paleo diet. I do not frequently recommend this diet but it may be ideal for individuals with multiple autoimmune conditions. Gluten-free Diet - One downside to the gluten-free diet is that there are plenty of ways to make it unhealthy. Going gluten-free is probably best when accompanied with a healthy structured diet. Low Carb Diets - Low carbohydrate diets can be ideal for those with insulin resistance and in those who are looking for weight loss. Ketogenic Diet - The ketogenic diet is a high fat, moderate/low protein, and low carbohydrate plan. This diet is ideal for those looking for weight loss and in those who have certain medical conditions. Elimination Diet - The elimination diet is ideal for those who suffer from unexplained food intolerance-like symptoms and in those who don't tolerate traditional structured diets. Low FODMAPS Diet - The Low FODMAPS diet (FODMAPS stands for fermentable oligosaccharides, disaccharides, monosaccharides, and polyols) is ideal for those with gastrointestinal problems such as IBS, non-celiac gluten sensitivity (NCGS), SIBO, and those suffering from chronic gas/bloating. Lectin Avoidance Diet - The lectin avoidance diet is a relatively new diet which focuses on the avoidance of foods which are high in lectins. Lectins can potentially cause problems in certain individuals (13) (not everyone is affected by lectins in the same way). These lectins are primarily found in healthy foods and may be the cause of persistent negative symptoms in some individuals who adopt healthy diets. As you can see, there are plenty of healthy diets which are available to those with thyroid disease and one is not necessarily better than the other! My recommendation is to tailor your diet and the food you put into your mouth to your specific medical conditions and problems. Another primary reason that we consume food (outside of energy and information) is to provide our body with essential building blocks to maintain muscle mass, improve well-being, and allow cellular processes to function. These building blocks are obtained through the absorption of vitamins, minerals, and other essential compounds found WITHIN the food that you consume. In the past, the only way to really obtain these nutrients was through the use of food. But nowadays we have the added option of using supplements and vitamins to compensate for dietary deficiencies. Should we be using them, though? The best way, hands down, to get your vitamins is from the food that you consume. An emerging problem, however, is that it can be difficult to get adequate vitamins and minerals despite eating a healthy diet. In order for your food to have vitamins and nutrients, the substrate must obtain those nutrients first from the ground or the soil. And we have seen that the soil which we use to grow crops has been depleted of certain nutrients. This means that while you may still be able to get SOME nutrients from your food, the concentration of certain vitamins and minerals may be lower than what we would have seen 50+ years ago. The combination of soil depletion of nutrients, unreasonable nutrient requirements of some people (due to absorption issues, certain medications blocking absorption, and the increase in demand due to exposure to endocrine disruptors, and so on) have led to a perfect storm. The storm of sub-optimal nutrient deficiencies that many people may face in spite of eating so-called 'healthy' diets. If you fit into this category (and many of us probably do), then the additional use of supplements may be required to help offset the reduced rates found in certain foods. Multi-vitamins contain both water soluble and fat soluble vitamins. The use of a multi-vitamin can help replete basic nutrient deficiencies and ensure that your body has what it needs. But the use of multi-vitamins may not sufficiently provide your thyroid with the nutrients that it needs. Instead, you may need to focus on more advanced thyroid supplements (those which help promote SPECIFIC functions) as needed. You can learn more about how I recommend that these supplements be used to target conditions such as low energy, weight gain, and more here. Gluten: Do you Need to Avoid it? Gluten is a protein which gets a lot of attention in the general press and alternative health-care industry. 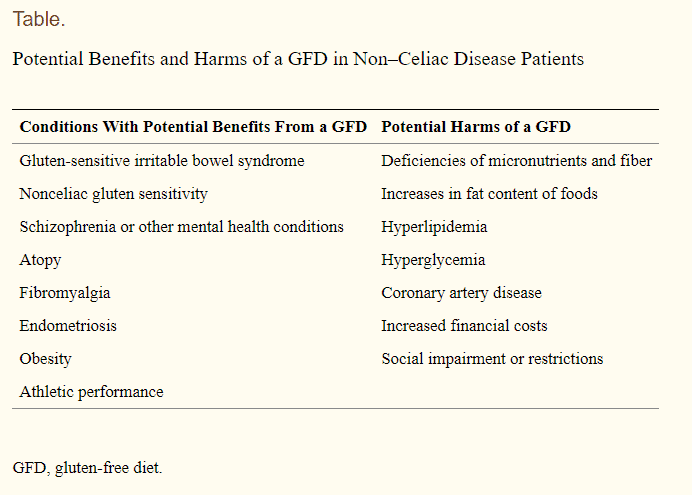 If you talk to most conventional doctors they will probably tell you that consuming gluten is perfectly fine as long as you don't have Celiac' disease. If you talk to doctors who are functional or integratively minded then they will probably tell you that gluten is the source of all of your health problems. Like most things in life, the truth is probably somewhere in the middle. Gluten can absolutely be a problem for people with thyroid disease (particularly for those who have Hashimoto's disease) but it may not be an issue for everyone. In fact, newer studies have shown that going gluten-free may have a negative impact on your cholesterol, your risk of heart disease, your bank account, and your blood sugar (14). On the other hand, this same study has shown that going gluten-free can be obviously beneficial if you suffer from IBS, NCGS, fibromyalgia, obesity, and certain mental health conditions. You'll probably notice that thyroid disease wasn't mentioned anywhere in that study so we will have to extrapolate some information and apply it to your situation. Instead of focusing on the rule that all thyroid patients should automatically go gluten-free, it's probably better to take a more measured approach. Instead of focusing on your thyroid disease, you should focus on the myriad of other conditions that can also accompany thyroid disease and those in which going gluten-free may be beneficial for. If you find, for instance, that you have thyroid problems AND irritable bowel syndrome, then going gluten-free will probably be beneficial for your body. Going about it in this way will allow you to take advantage of the gluten-free diet without realizing the potentially negative health outcomes listed above. It's also worth spending a quick minute on explaining goitrogens and how they impact your thyroid. Goitrogens are compounds which inhibit thyroid function and block your thyroid from taking up iodine. Goitrogenic compounds include chemicals which naturally occur in food and exogenous chemicals that you can consume or come into contact with. The reason goitrogens come up in this conversation is that they are commonly found in healthy foods! Foods which contain goitrogens include cruciferous vegetables (like kale, cabbage, and broccoli) as well as soy and beans. Does this mean that you need to avoid these healthy foods to protect your thyroid? Not necessarily! (In fact, I don't believe that to be true). This is another one of those cases where the theoretical can get in the way of the practical. It's theoretically possible that consuming large amounts of kale can inhibit thyroid function but this is just never really seen in real-life. And, if you use this as an excuse to consume less-healthy foods then you are probably doing much more harm than good! When it comes to choosing to consume kale over something like a donut or a pastry, then you should always opt for the kale. The world of dietary advice can be confusing and I don't envy people who are confused about all of the information available! I've tried to make the information bite-size and easy to consume in this article. Try to find a structured diet (one with lots of online support and community) to follow and one which includes healthy foods that you should be eating while avoiding those foods that we know are potentially harmful to your thyroid. From there you can tailor or modify the diet to fit your specific needs. This will allow you to obtain the best possible results! Are you currently struggling with thyroid disease? Do you know which foods you should be eating or avoiding? Which diet have you used and how has it helped you? Leave your comments or questions below to keep the conversation going!